If you want to prevent buyers from abandoning their carts, you really need to improve your checkout. Not everyone who decides to buy from you will actually complete their purchase. But most of those people will leave your site at checkout, not while browsing your store. And that’s a terrifying thought, isn’t it? Especially when you think about the upcoming Christmas holiday shopping season and the sales you’re going to lose during that time. Well, unless you improve your checkout conversion rates, that is. So below you’ll find a list of checkout hacks that you can implement before the holiday season to ensure higher checkout conversions and fewer cart abandonments. Intrigued? So let’s get to it. 8 out of the 14 most common reasons for abandoning shopping carts are checkout related. It suggests that we’re deliberately pushing buyers away from the purchase ourselves. We throw unexpected costs at them at the checkout. We confuse them, with broken site navigation, slow or crashing website or complicated and long checkout process. We also make our buyers feel insecure about purchasing from us. And we fail to offer them the options they expected. 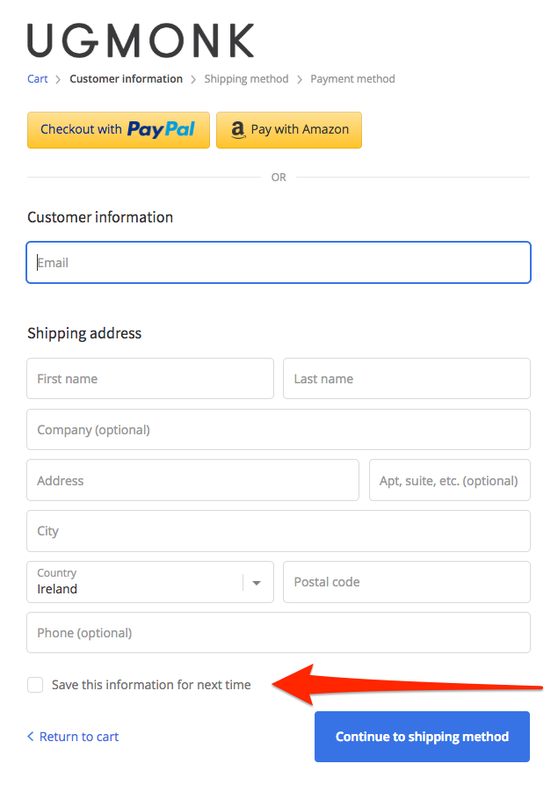 By fixing those, and many related checkout problems, we can increase our conversions and drop the cart abandonment rate. And if you’re wondering where to begin, below is a list of checkout hacks you could do before the Black Friday and the holiday shopping season to ensure that more buyers will complete their purchases at your store. Look, I understand all reasoning behind forcing buyers to register an account. 37.4% of abandonment occurs at the checkout login or registration. For some of these users, having to set an account is a big put off. In fact, according to Econsultancy, 25% of shoppers will abandon the purchase if forced to create an account. For others, however, it’s trying to remember their login details. Just think about the last time you wanted to purchase an item but couldn’t remember your account password… Frustrating, wasn’t it? Now couple that with the usual rush that accompanies the holiday shopping and you have a recipe for cart abandonment. Allow buyers to complete the purchase as a guest (and optionally log in or create an account later). This way, you’ll eliminate the friction of a signup page, reduce the drop off at the checkout, and provide a much faster checkout experience. In fact, for ASOS, adding the possibility to checkout as a guest resulted in reducing the abandonment by a staggering 50%. Here, read the Econsultancy case study about this strategy. Ugmonk provides a super simple checkout process that requires no registration, although it allows saving your details for later. …and then forget about it, and move on. Look, shame to admit but it’s happened to me too. However, you can prevent shoppers from forgetting about their purchase by clearly notifying them of items in the cart. There is a number of ways you could achieve it, depending on your eCommerce platform’s functionality. 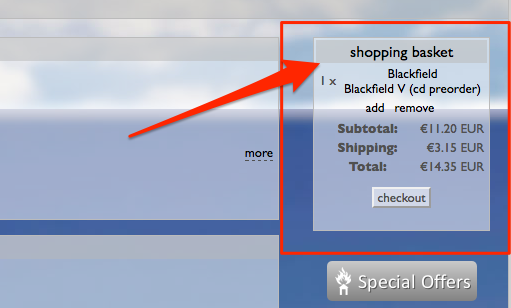 For example, you could display a popup confirming adding a product to the basket. Put the cart with a list of items in it in the sidebar. 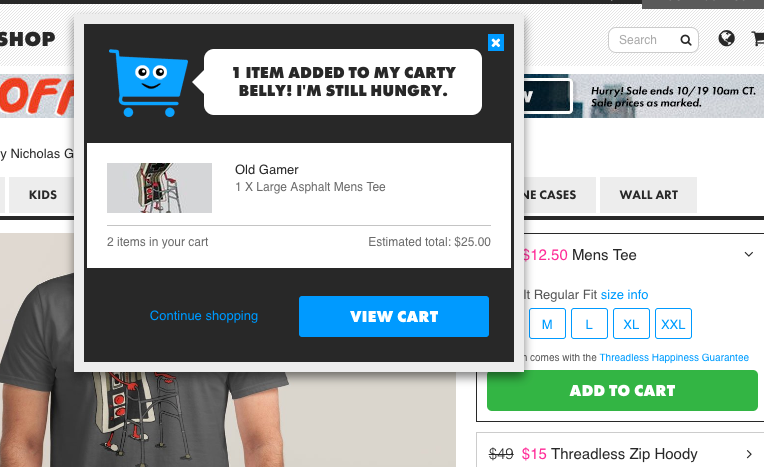 Add a number of items in the cart beside the Cart button. Many platforms allow to activate this functionality at a touch of a button. Most checkouts are highly impersonal. They contain just dry forms and instructions on how to complete them. But how often would you prefer at least some human touch during the final stages of the buying process? And as it turns out, this human touch may actually convince more people to complete the process. 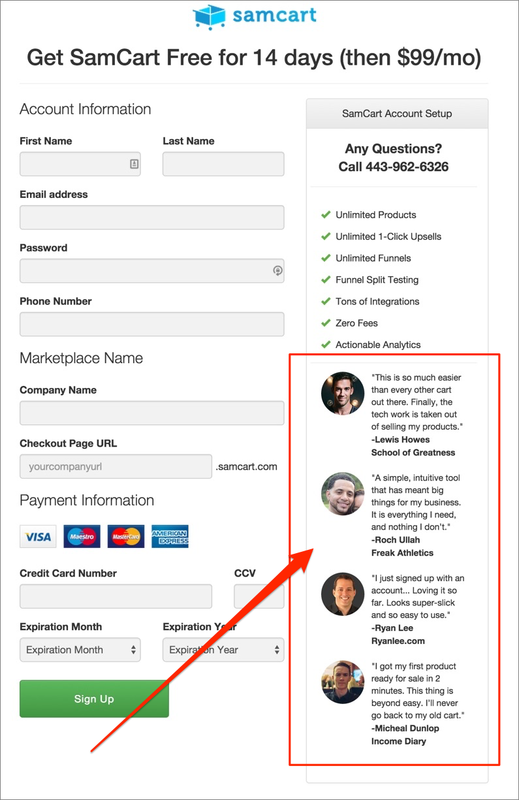 That’s what this software company discovered after testing a signup page with an image of a person on it. Just this small change resulted in 102% spike in conversions. While this example pertains to the software industry, the principle that governs it is universal. Images of real people establish trust and help us connect emotionally with the other person. And I’m sure you’ll agree, it’s hard to develop that connection with a signup form, a set of instructions or any abstract web graphic. A photo, however, helps us connect at an instant, particularly if it shows the person’s face. How to Include Images of People on the Checkout? 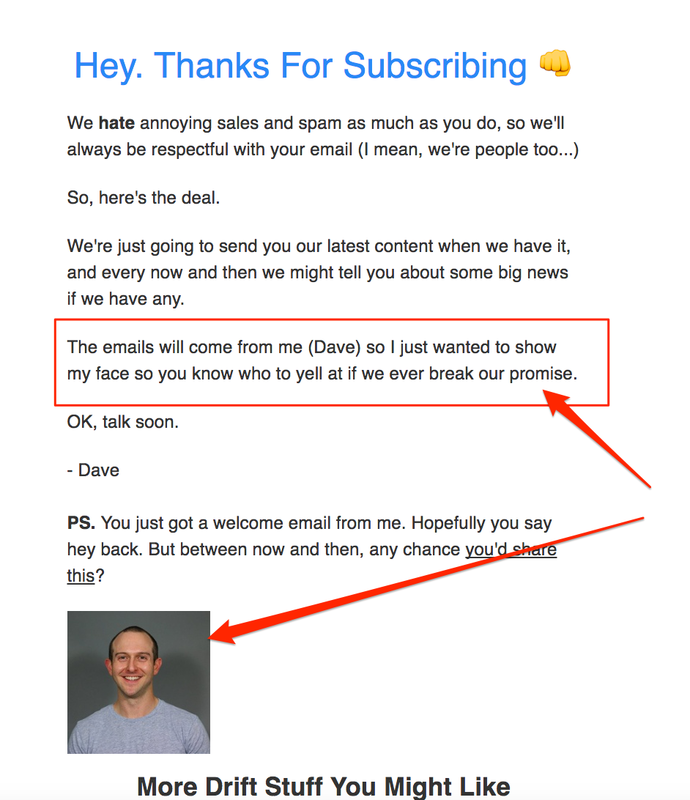 You could place a personal message from you, similar to this one Drift uses on their signup confirmation page. Again, it might not be an eCommerce-related example, but the principle is the same. If you don’t want to show your (or your staff’s photos), then consider including testimonials with photos. 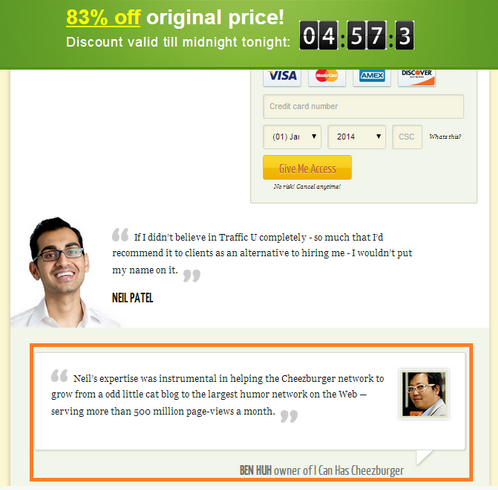 Not only they’ll provide a much needed social proof, but also showcase real people your shoppers could identify with.